It is the most wonderful time of the year! We don’t know about you, but we sure are ready to get our holiday decorations up and let the festivities begin. One of our favorite things about the holidays is that we get to fully embrace the act of giving. 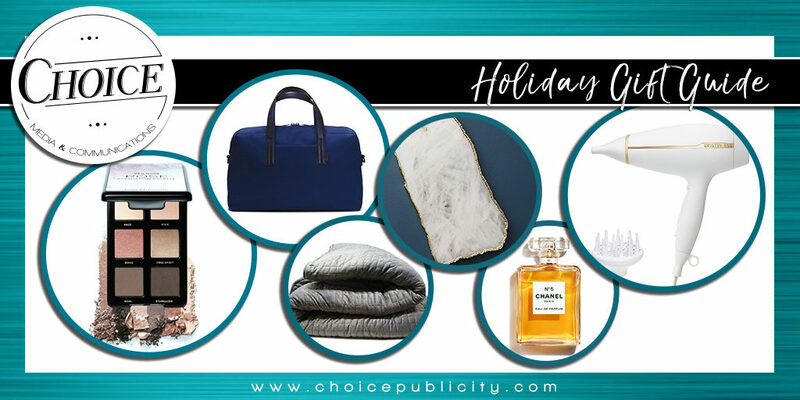 Here at Choice, we have compiled a Holiday Gift Guide that we believe will make thoughtful, enjoyable and impactful gifts for everyone on your list this year! I am always looking for the latest and greatest ways to practice self-care. I love seeing all of the products coming out now focusing on strengthening these practices as it is something we so often forget! As the end of 2018 approaches and 2019 begins, I am setting a goal to truly focus and plan out my efforts to take care of myself. This is why one of my favorite gifts of the season is the My Calm Blanket. 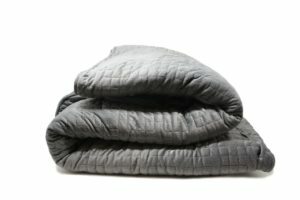 The My Calm Blanket comes in 4 weights. The evenly distributed weight of the blankets aids in everyday life as well as conditions such as Anxiety, ADHD, SPD, Stress, Autism, Insomnia and many more sensory conditions. I have heard such amazing things and results from people using this blanket and it sure seems like a perfect gift for lots of people on my list this year–including myself! I urge you all to look into ways you can take care of yourself over the Holidays as well as give gifts that help promote that in others. Let me tell you about my friend, Tiffiney, who owns a salon in my hometown and has one of those selfless hearts that pampers others so well. When I was on bed rest with my son, she literally brought all supplies over to give me a gel manicure. When we experienced a loss in my family, she brought over two casseroles. 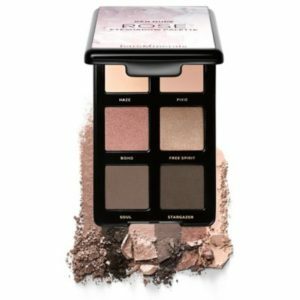 And, for all occasions from my honeymoon to my birthday, Tiffiney has gifted me with the latest, trendiest eye pallet from the salon’s Bare Minerals collection. You all already know from previous posts that I love Bare Minerals. But, I’m also here to tell you in a season of toddler noses, work deadlines and the busyness of life, there is something really special about having a new beauty product that is sure to brighten a woman’s day. I love gifting my busy momma friends the gift of pampering, which Tiffiney first taught me so well, and I am loving the versatility of this pallet! Now that I am living the post-grad life, I have been very focused on making my apartment feel more like an adult lives there instead of a college sorority girl. My mom got me the best housewarming gift of these beautiful agate coasters from Anthropologie which I love so much. So now with the holidays coming up and all my friends venturing into the real world, I love the idea of giving home decor gifts. 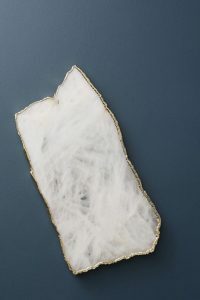 This agate cheese board is my absolute favorite thing (maybe Santa will grace me with a lovely tray to serve some cheeses.) If you are looking for a gift for that friend who loves to host, entertain and put out a great spread for friends and family, I highly recommend this avenue of gift! I love everything about Kristen Ess. From her minimalist, stunning packaging and iconic scent to her super informative tutorials and celebrity-filled Instagram posts, I am 100% in support of anything she does. She seems extremely knowledgeable about quality, budget-friendly hair care and she makes this attainable for the everyday girl. 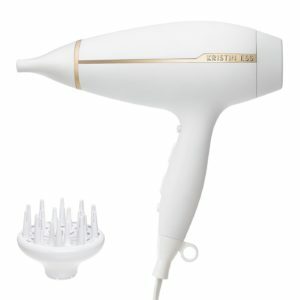 So, I was really excited when she announced a new hair appliance line, including gorgeous, functional items. 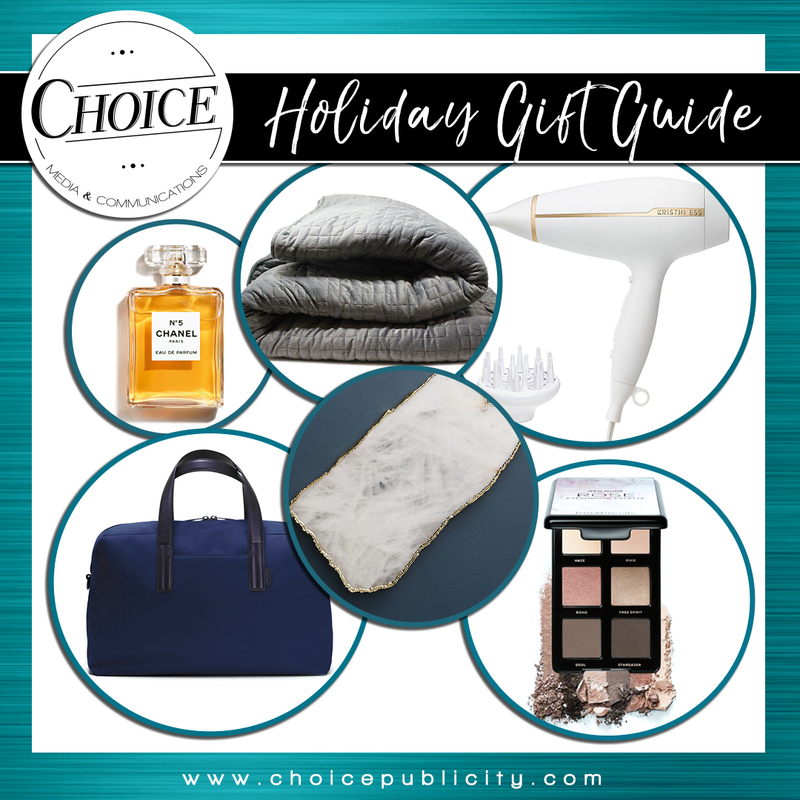 While every single item from her new line would make a perfect gift, one piece in particular really sticks out: the Iconic Style Professional Blow Dryer. Though only launched a few weeks ago, this product already has great reviews from many sources I trust. This blow dryer is supposed to cut down drying time, reduce frizz and breakage and leave you with a sleek mane in no-time. Plus, it looks beautiful. This would make the perfect addition to any beauty lover’s collection! I’m constantly on the go – a weekend in Athens for a UGA football game, a few days in NYC for media meetings, an overnight trip to meet with a client, or a quick getaway with Matt. I found myself frequently buying luggage from so many trips. Recently I invested in an Away “Bigger Carry-On” and it’s transformed my travel. With an unbreakable, smart design – hello, ejectable battery to charge all my devices when I’m stuck at the gate for another delay – I feel so put together running through the terminal. I opted for the navy because, well, it’s different from everyone else’s bag. It’s guaranteed for LIFE, which translated for me: one-time purchase. I’m currently coveting their compatible Everywhere Bag. 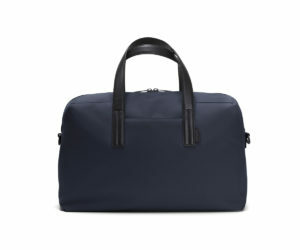 It’s the perfect complement to my carry-on and, bonus, they have it in a matching navy nylon. Do you have a busy, seasoned traveler in your life? Someone who is constantly on the road? Then let me suggest the Everywhere Bag. They can take it from the gym to their weekend getaway to the airport for a long trip. I’m putting it at the top of my list for Santa. Each year, I ask for a bottle Channel N”5. It’s the perfect balance of elegance and femininity that I know I’ll never get tired of. Perfume is the perfect stocking stuffer or gift for your BFF! 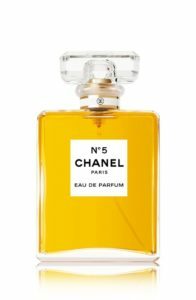 I’ve read that perfume triggers memories, so I always look at my list for the bride or mom-to-be and gift them a bottle. This signature scent will remind them of precious memories every-time they reach for their bottle! Perfume is an extremely personal gift so if you’re unsure on scents try gifting Sephora’s Perfume Sampler. This lovely box set comes with 15 samples for your friend to test out. Once they decide their go-to-scent, they can pick-up a bottle with the provided voucher. Kerry recommended this idea for my mother’s milestone birthday, and it was a huge hit! We would love to hear what’s on your Holiday Gift Guide or which gift guides you are loving this year! Do you have a favorite thing to give during the Holidays? We hope you enjoy this time celebrating the ones you love!